Paul Stanley is a singer and songwriter who has become famous as a member of the rock band Kiss. Starting his career over five decades ago, he has earned his place on the list of the most significant Metal Vocalists of All Time. Apart from his career with Kiss which has mostly defined his musical journey, he has also done some works as a solo artist. Although most people know the singer as Paul Stanley, it was actually as Stanley Bert Eisen that he was born on January 20, 1952, in Manhattan, New York City. From a Jewish family, he was brought up alongside a younger sister, Julia. Interestingly for a singer this famous, he grew up with a misshaped ear which made it hard for him to understand where sounds are coming from or even hear very well in a noisy environment. However, he loved music and began singing when he was a little child. By the age of seven, he had already had his first guitar. He began his education at PS 98 before his family moved to Kew Gardens when he was eight. While music was his first love, he also had talent in graphic arts. He went to the High School of Music & Art in New York from where he graduated in 1970. The singer started his career with a local band, Rainbow. He joined other bands including the Wicked Lester in the 1970s before finally settling with Kiss which he formed in 1973 alongside Gene Simmons, Ace Frehley, and Peter Criss. With the band, he would go on to release over 20 albums and win many awards. Stanley has not made many recordings as a solo singer, but he was able to release two albums; Paul Stanley (1978) and Live to Win (2006). More so, he released a live album, One Live Kiss in 2008. The singer has made a lot of achievements including the 2008 Showman of the Year award of the Classic Rock Awards, Classic Gold Telly Award in 2009, and was inducted into the Long Island Music Hall of Fame in 2006 and the Rock and Roll Hall of Fame in 2014. Family – Children, Is He Gay Or Married To A Wife? 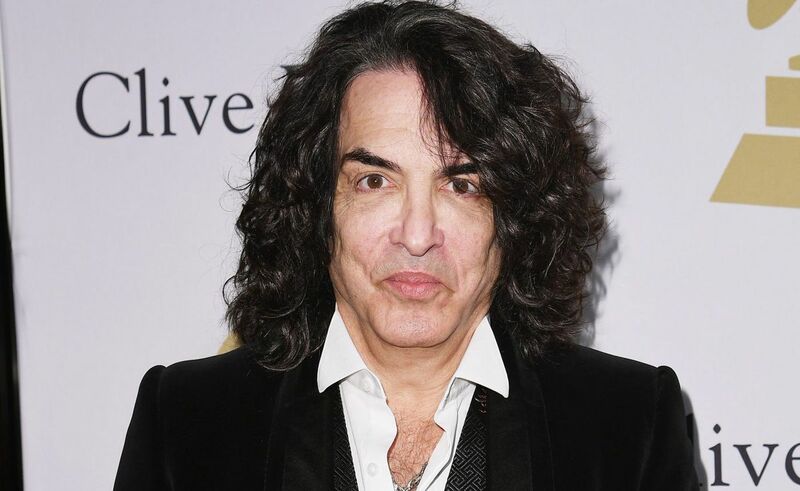 Paul Stanley is one of those stars who had a lot of rumours about their sexuality. For many years, there have been a lot of people claiming that the singer is gay, although there is not much to back the claim. The rumours, however, have been serious enough to make the star reveal that he is not gay. According to him, he has never looked at guys in that way. He pointed out that although he has no problem with one’s sexuality as far as you are a good person, he is completely straight. Marilyn Manson described the band as “four gay dudes in Halloween costumes,” something that did not go down well with Stanley and other members of the band. Even with the rumours about his sexuality, the singer did not only have a wife, but he has dated more women than many men would ever get to. Among the women he was said to have dated are Georganne LaPiere, Donna Dixon whom it was said he was once engaged to, Lisa Hartman, Cathy St. George, and Eloise DeJoria. In 1991, Paul Stanley got married to Pamela Bowen in 1991. Unfortunately, the marriage ended in a divorce 10 years later, leaving the singer devastated, to handle the issue, he turned to his second love, painting. Before it ended, the union was blessed with a child, Evan Shane Stanley, born in 1994. Following the divorce from his first wife, Paul Stanley met Erin Sutton whom he would later marry in 2005. Many years later, amidst all the rumour about his sexuality, the two have remained together and they have three children. Erin Sutton gave birth to the couple’s first child, Colin Michael Stanley in 2006, followed by Sarah Brianna in 2009, while their last child, Emily Grace was born in 2011. Paul Stanley is a man who has a very good height among other things. He stands at a massive height of 6 feet (1.83 m). However, there is nothing that has been provided about his body weight although he is obviously a man well built.